The stunning Downtown Sofa is another big statement piece in this collection, traditional and classic yet loses nothing on style and design. The graduated arms add a contemporary feel, whilst harking back to Art Deco styling of the 1920's. 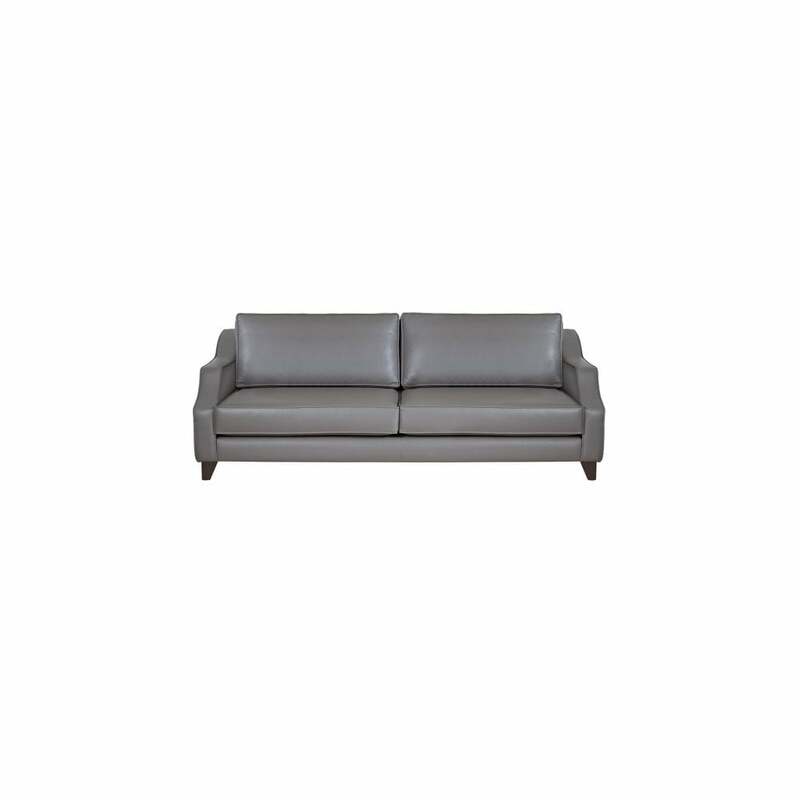 Quality of comfort in design and use of materials has been prioritised here with the upholstery made from high quality polyester foam on elastic webbing, whilst the back cushions are filled with polyester fibre for form and support. The satisfying smooth texture of the fabric, with a piped edge for that clean, tidy finish is a visual draw and will also maintain the shape and comfort of the cushions. This is a sofa that calls you to take a seat. The dark, contrasting solid beech legs beautifully complete the design, whilst indicating the solid, sturdy functional element to this piece.